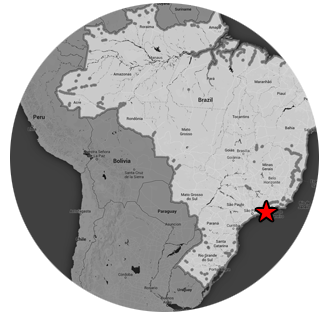 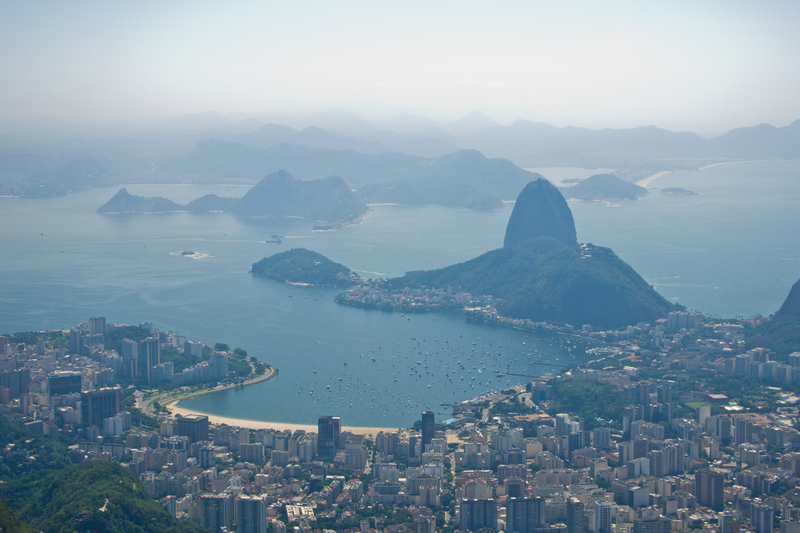 The Ipanema Hippie Fair Crafts Market (Feira Hippie de Ipanema) is a large outdoor Sunday fair with many artists and vendors showing off and selling their talented work. 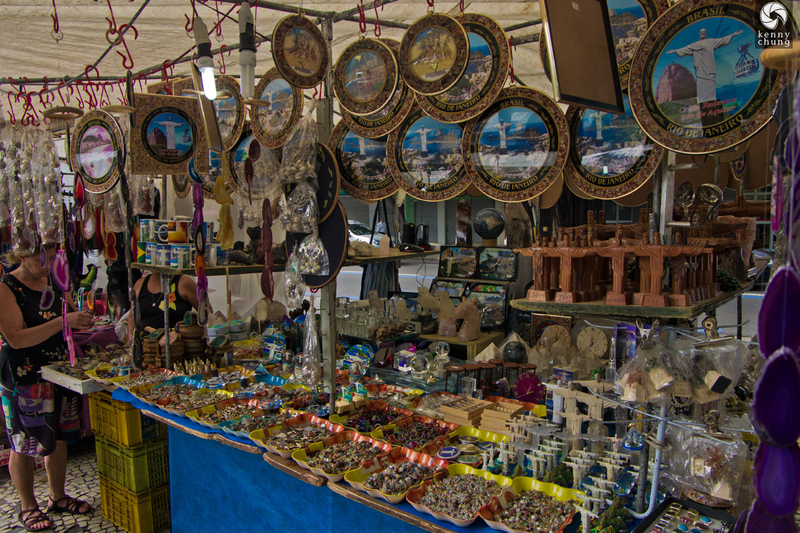 Tons of trinkets and Cristo Redentor related souvenirs. 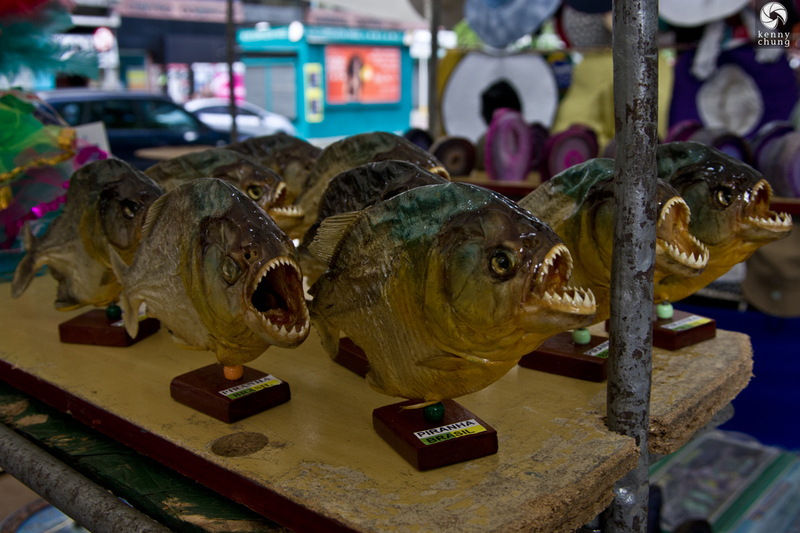 Some mounted and lacquered Brazilian piranhas for sale. 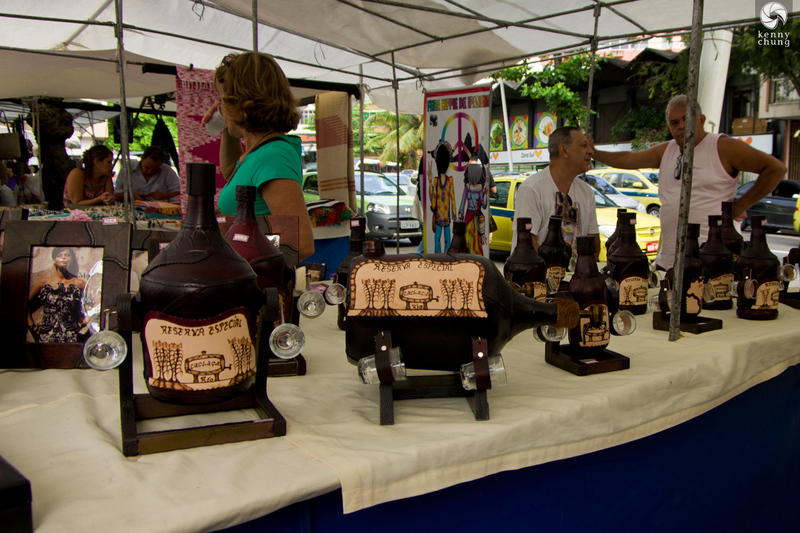 Leather cacha�a (Brazil's version of rum) canteens with pouring stands and shot glasses. 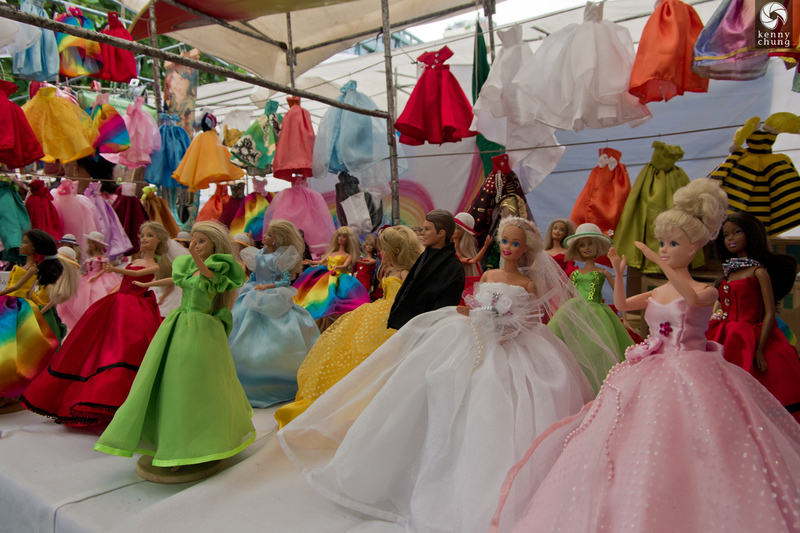 Some barbies with custom Brazilian-inspired clothing. 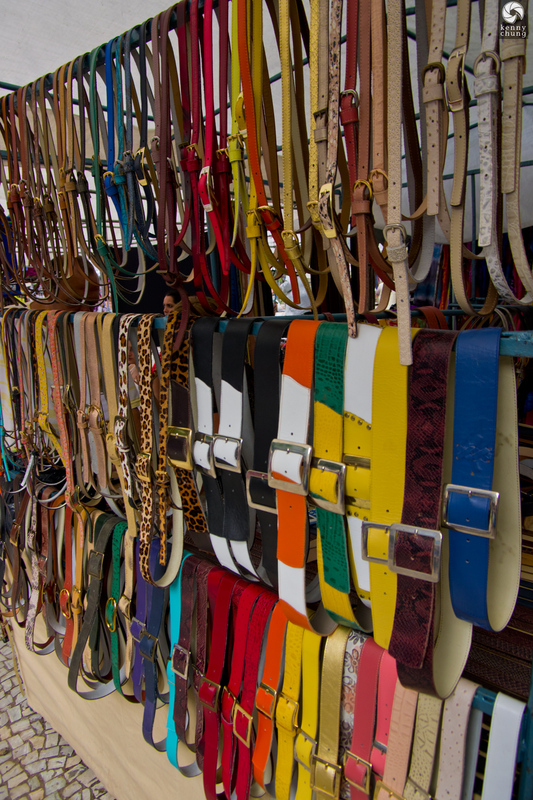 Colorful belts for sale at the Hippie Fair.